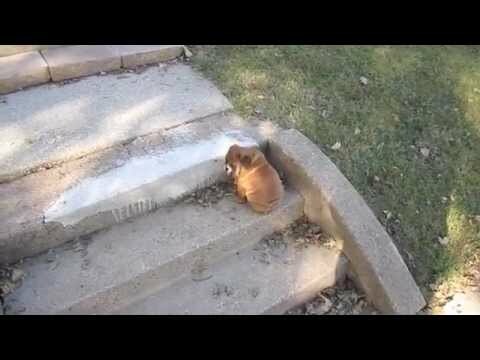 This cute bulldog puppy was afraid of going up and down the steps. Watch as he conquers his fear! It’s adorable!